Lyle “Scrub” Glenn Mellott, 92, of Boonsboro, Maryland, passed away just shy of his 93rd birthday at Doey’s House on Friday, February 1, 2019. He was born on February 9, 1926 in Boonsboro, Maryland, the son of the late Arthur and Frances Mellott. He was preceded in death by his wife of 62 years, Launa “Sis” Mellott. He was a member of St. James Brethren Church. He graduated from Hagerstown High School, class of 1943. After he graduated high school he went into farming until 1969 when he began working as a welder for McCleary & Earley. 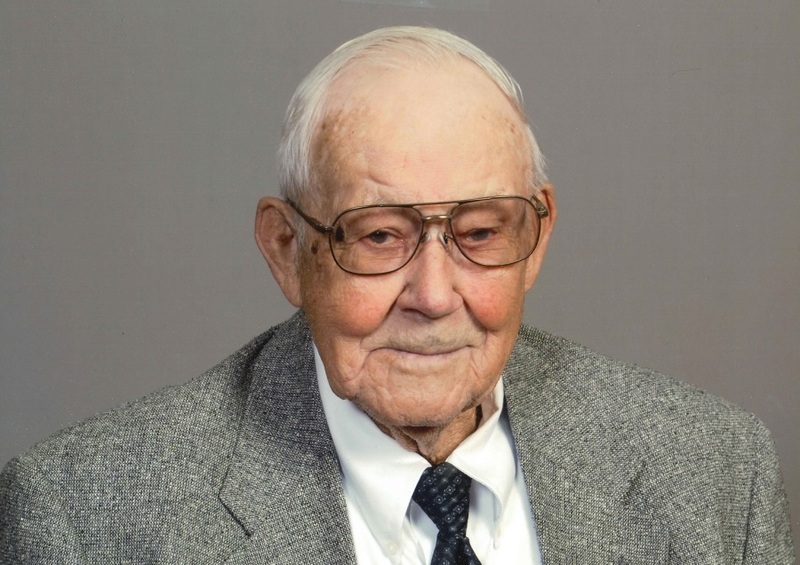 He was a lifelong hunter and a member of the Western Maryland Sportsman’s Club. At age 90, he completed his final successful hunting adventure, coming home with two turkeys and a deer. He was also a member of the National Wild Turkey Federation. In addition, he had a love for the outdoors. He grew his own garden until the age of 90, sharing his love of the land with anyone who would listen. Upon retirement in 1989, Scrub and Sis traveled with family and friends on many Baer Express Bus Line trips and also joined the Senior South Side Bowling League. He continued to bowl twice a week until the month before he passed away. He was also a member of the Manor Church Senior Citizen group. He is survived by his three daughters, Jo Clingan (Jim) of Waynesboro, PA, Cathy Munson (Robert) of Boonsboro, and Sandie Jamison of Boonsboro. He is survived by grandchildren Rachel Roth (Mike) of Williamsport, Jeremy Jamison (Stacey) of Hancock, Jessica Miller (Matt) of Baltimore, Jacob Munson of Boonsboro, A.J. Jamison (Ariel) of Greencastle and Logan Jamison of Dallas and great grandchildren Grant, Ty, Lilly, Wyatt, Daphne and Ryan. He is also survived by four sister-in-laws, Mary Deike, Norma Zeger, Olive Draper, and Shelva Jean Draper; five brother-in-laws Melvin Draper (Abby), Robert Draper, Roger Draper, Terry Draper (Kim), and Robert Eckstine; as well as a host of nieces, nephews, family members and friends. He is preceded in death by his sister Evelyn Shaull and brother Gordon Mellott; seven brother-in-laws, Emory Draper (Lorraine), Albert, Wayne, Glenn, Rod, Phil, and Earl Draper; three sister-in-laws Hazel Draper, Martha Eckstine, and Irene Phillips (Tom). A funeral ceremony will be held at 11 a.m. on Tuesday, February 5, 2019 at St. James Brethren Church, 17716 Lappans Road in St. James, MD. Pastor Brad Selan will officiate. A graveside service will follow at Manor Church of the Brethren cemetery. Friends will be received from 6 to 8 p.m. on Monday, February 4, 2019 at Bast-Stauffer Funeral Home, 7606 Old National Pike in Boonsboro, as well as one hour prior to the service at the church. Memorial donations may be made to Hospice of Washington County, 747 Northern Avenue, Hagerstown, MD, 21742 or Doey’s House, 11370 Caring Pathway Lane, Hagerstown, MD, 21742.